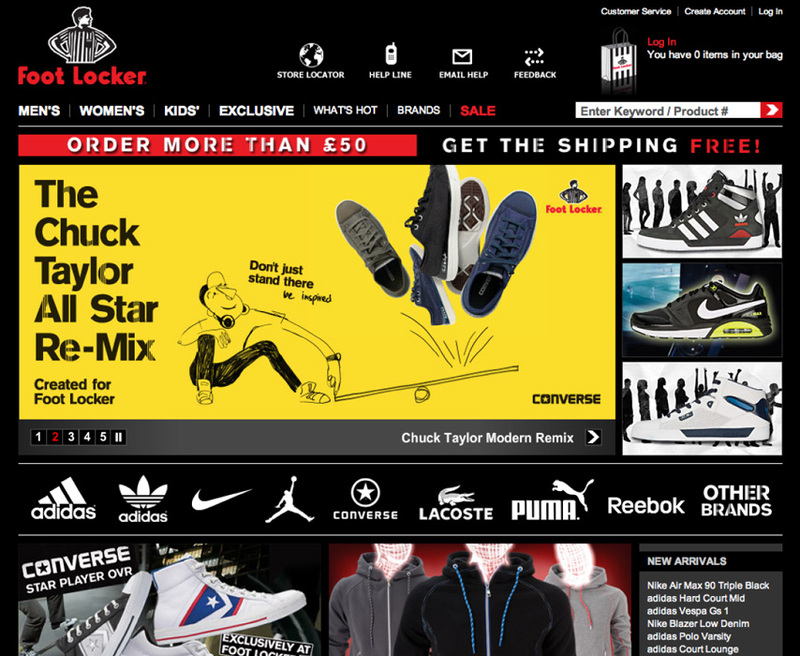 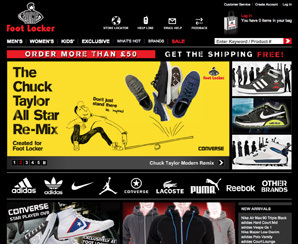 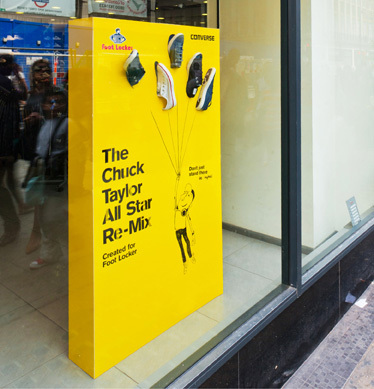 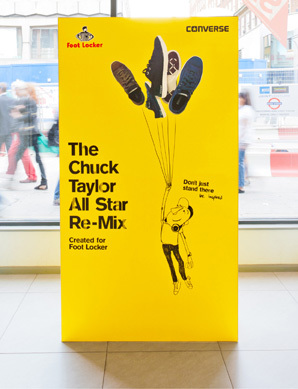 Intro created this in-store and online campaign to promote the launch of the Chuck Taylor All Star Remix exclusively at Foot Locker for summer 2011. The shoe features an update to the classic Chuck silhouette, and is very lightweight compared to the original. 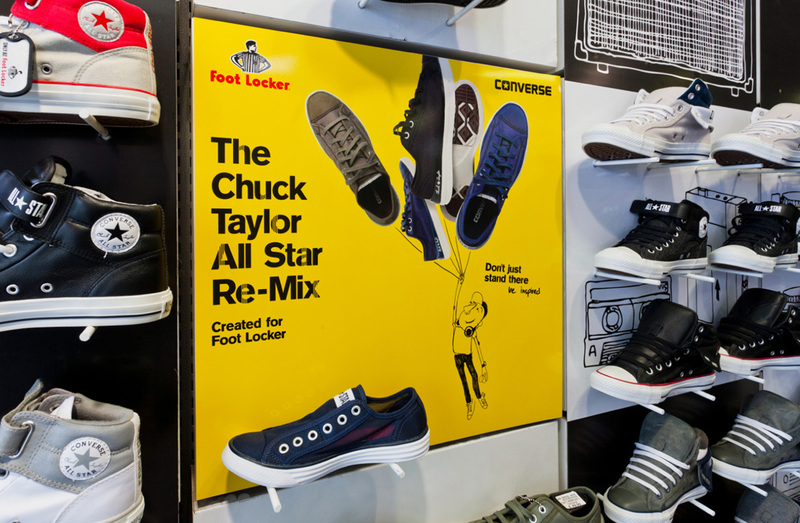 We created a striking graphic execution that allowed the shoes to be displayed in an eye-catching manner that highlights this key feature.